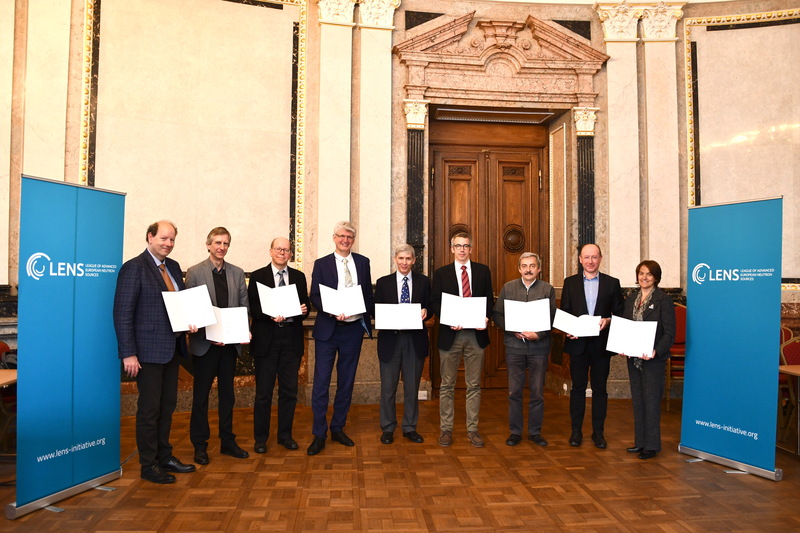 Liblice, 26th March 2019 – The conference, organised by the League of Advanced European Neutron Sources (LENS), and held in the premises of the Baroque Castle of Liblice, Czech Republic, has drawn the attention to the key challenges of 9 European neutron-based research infrastructures. 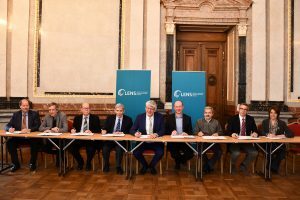 The LENS strategy partnership aims at supporting the users and strengthening the European neutron science. The LENS conference was attended by the governmental representatives, delegates to the European Strategy Forum on Research Infrastructures (ESFRI), European Commission, and research community. On the occasion of the conference, the 1st Meeting of LENS Executive Board was held and consortium adopted and signed the LENS Statutes, laying down the framework for the LENS internal coordination. The Director of the Institut Laue-Langevin (ILL) in France, Helmut Schober, was elected as the LENS 1st Chair, and the Director of the ISIS Neutron and Muon Source in the United Kingdom, Robert McGreevy, as the LENS Vice-Chair. “Research on materials will provide the basis for technologies of the future. 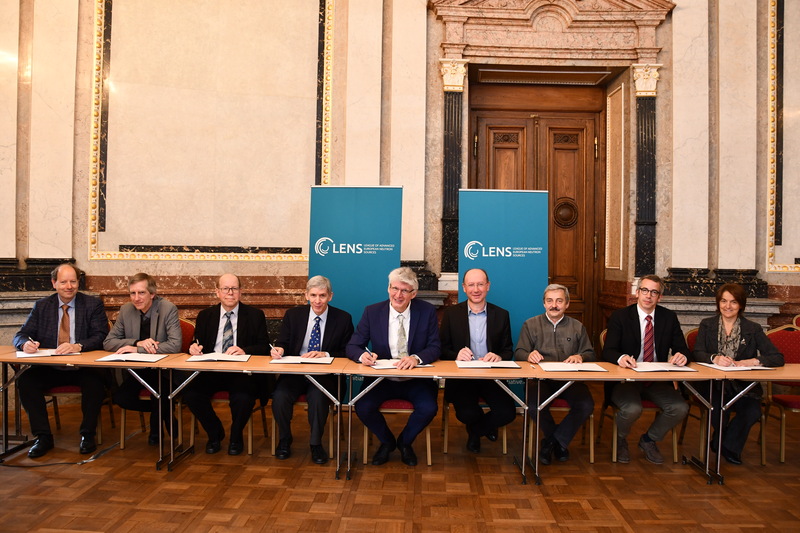 LENS will help to develop these technologies by optimizing the use of resources for neutron investigations through the strategic coordination among neutron facilities.” said Helmut Schober. Tailor-made materials and material systems are required for the advancement of key technologies, from the information technology and renewable energy concepts, to safer and more environmentally friendly transport systems and life-saving medical applications. Probing materials with neutrons stands as one of the pillars of the analytical techniques in this chain of discovery. Neutron-based analytical facilities are serving a very broad scientific community of more than 5000 researchers. The event in Liblice marked the first expansion of the consortium’s Member base. 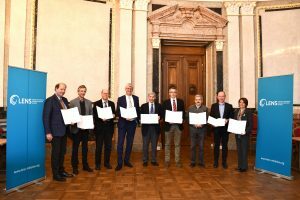 The consortium was established in September 2018 with the primary goal of facilitating discussions and decision-making processes that have the potential to strengthen European neutron science. The 8 founding Members include national and international neutron facilities from France, Germany, Hungary, Norway, Sweden, Switzerland, and the United Kingdom. Forschungszentrum Jülich from Germany with its Jülich Centre for Neutron Science was welcomed as the 9th LENS Member. LENS is open to new Members and other qualifying neutron facilities that grant international access to their experimental devices and research services are invited to join at any time. In this way, LENS helps to contribute to the scientific integration of Europe. The LENS conference was held on the eve of the 68th ESFRI Forum Meeting, which brings together delegates responsible for research infrastructures´ policy-making, representing the EU Member States and Associated Countries. “We welcome the launch of LENS. Coordinated efforts of this type support a better use and development of neutron-based research infrastructures in Europe. This is well in line with the vision that ESFRI has for European science.“ said Jan Hrušák, ESFRI Chair.